This season H&M contacted me for a fun collaboration where I got to style some of the pieces from their new Conscious Collection. It was something like adapting the collection to my own personal style as opposed to wearing it head to toe, which is way more fun. I cant wait to wear all of my favorites when it finally gets warm outside and we get to enjoy the Spring without having to throw on a coat. Do you have any favorites from the collection? What's the name of those A.Wang shoes? does anyone know? 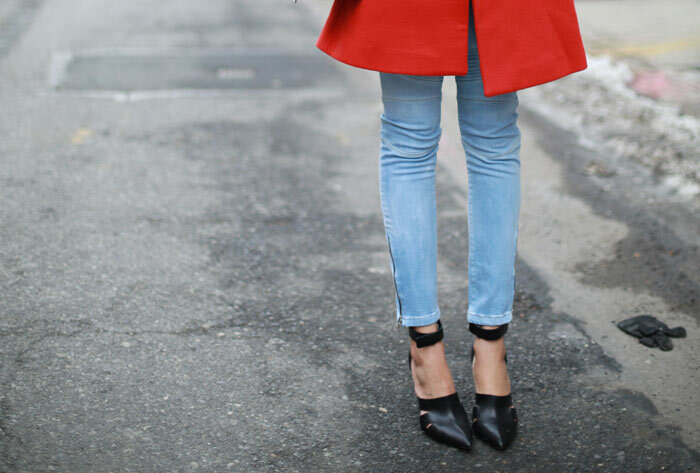 Lovely red coat…you look awesome with sunglasses! I like so much that blouse! and the olive-colored jacket! Gorgeous! 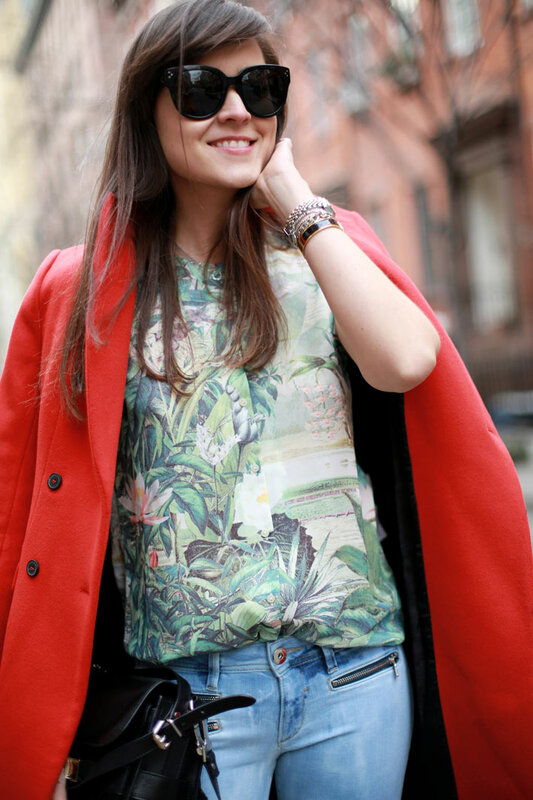 Love the print top and the red coat! The new collection of H&M is beautiful. My latest post is about this collection. I have a green jacket with glitter stones, I love it! The collection is really one of their best I think, so pretty! Great outfit! I really like the H&M Concious collection. I don't own anything but maybe I want to buy a few things. You styled it a lovely way, hehe! Nunca hubiera pensado en combinar ese estampado con el color rojo, pero me gusta! Hola Andy, nunca te habia comentado, pero soy tu seguidora desde hace mucho tiempo, me encanta tu estilo y esta combinacion esta hermosa, besitos desde Rep. Dominicana. Love the blouse in your outfit! Me acabo de enamorar de tu abrigo y eso que el naranja no me favorece… Te queda espectacular! awesome spring outfit! love it! Stunning coat – I love a good statement piece! And those shoes are killer, love the ankle strap!